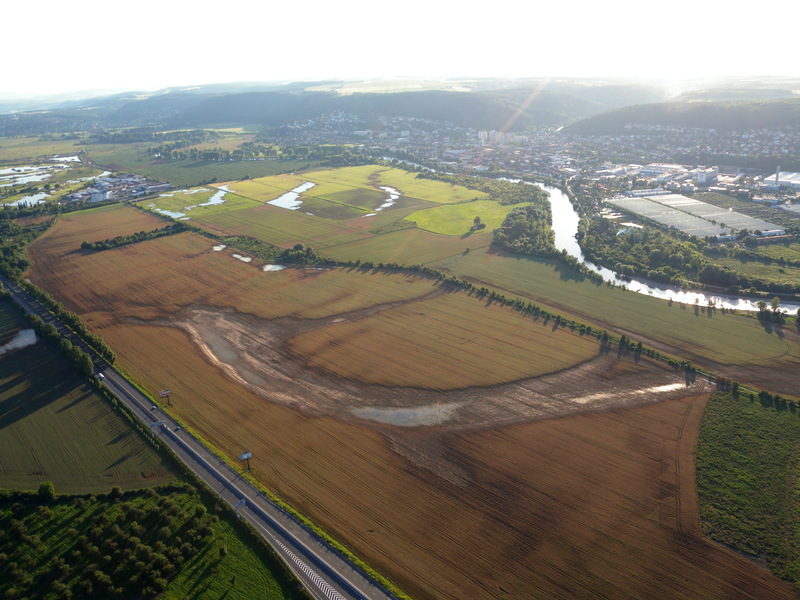 The main word for the project is ,,CONFLUENCE´´ because the project Soutok unites two very important rivers for the Capital City of the Czech republic, Berounka and Vltava. On the other site the confluence means also connection of residents, clubs, stakeholders and economical subjects with various interests between public and state administrations. Prague is the largest city of the Czech Republic with approx. 1.3 millions residents. The city have a quite broad range of green and blue infrastructures. A high biodiversity, which is widely distributed in the urban tissue, concentrated mainly in the most important parks and hotspots, but connected by the presence of green corridors. The CONFLUENCE project area is located in the urban fringe of the city in the southwest of Prague. Main part of the park area is part of administration of the Prague 12 district, Radotín, Lipence, the town of Černošice, Zbraslav and Velká Chuchle districts. The boundaries are defined by the riverine zones of the rivers Berounka and Vltava. Another line is held by small, but rich in biodiversity and biotops, the Lipanský stream. The area is more than 1300 hectares large, full of natural and agricultural ecosystems with flood areas of great potential for recreational uses followed by revitalizations of brownfields, riverbanks and industrialized large scale agriculture. The main aim is to create harmony in between supported natural processes, economical interests and the visitors activities. Set conditions for formation of landscapes rich on natural biotop diversity, transparent and penetrable suburban areas with alive flowing river, side by side agriculture, integrated flood protection and management, and economic and sport activities. In 2012 the Czech Republic became a partner in Interreg Periurban Parks Project which brings together 14 partners from 11 EU countries. These partners all had experience and competencies to manage periurban areas, but were at different stages with periurban parks. In summer 2015 the local municipalities signed the Memorandum of Joint Collaboration for Development and Future Use of the Confluence Area. The platform SPOLEČNE NA SOUTOKU (Together at Confluence) was created. Local stakeholders with the project leader the Prague Institute of Planning and Development (IPR PRAHA) created catalogue of more than 30 projects and investments and small partial projects in the area, and the Ecosystem Services Conceptual Plan. Furthermore, 2015 Resolution of the Prague City Council accepted the CONFLUENCE Project and the Memorandum. In 2016, an International conference + workshop TOGETHER AT CONFLUENCE were held in Prague with attendance and speakers from other European Periurban parks and the EUROPARC association. Two joined Workshops and one fall conference TOGETHER AT CONFLUENCE were organized by IPR PRAHA in 2017. The meetings were for all important stakeholders from the future park area, who together with experts and the City representatives were discussing the future development of the Confluence Park area. 2018, IPR Praha prepared and discussed with stakeholders the Action plan for establishment of Periurban park Soutok and began discussions and preparation for a creation of a common organization, which would joined up municipalities and other key stakeholders into a legal entity with the main aim to set up a more organized body - Confluence Association. There are frequent discussions between IPR Praha and the members of the Platform TOGETHER AT CONFLUENCE. Establishment of such periurban park will create a great potential for better natural values, preserve and enhance diversity of local biotops and will create coordinated and sustainable administration of currently very divided landscape by various interests of local municipalities and private entities. The project is innovative in most of ways in the Czech planning practise, but the most important is how the project aim on coming closer to find balance between various interests in one area and positive connection between rural and urban inhabitants and private entities in the area. New methodological approaches applied in the project show strengths and weaknesses of the whole project area and its stakeholders. The project also tests these new methods and approaches that can be use in other places in Prague and elsewhere in the future. The participatory nature of the project also introduces the concept on nature based solutions to variety of local and regional actors and shows their possibilities and potentials for revitalization of the periurban landscape and mitigation of impacts of the climate change. Various case studies were published from 2015 to the present. Such as Stakeholder and Landowners Analysis, Spatial Analyses, Socioeconomic study, Analysis of Projects and Intention of Local Stakeholders with spatial and database representation, Legal analysis of possible types of the periurban park administration, Review of Hydrogeological Conditions of the River Basin, Preliminary Biological and Ecosystem Analysis.